Israel wanted a King. This crushed Samuel's heart and angered God with the people's lack of faith. 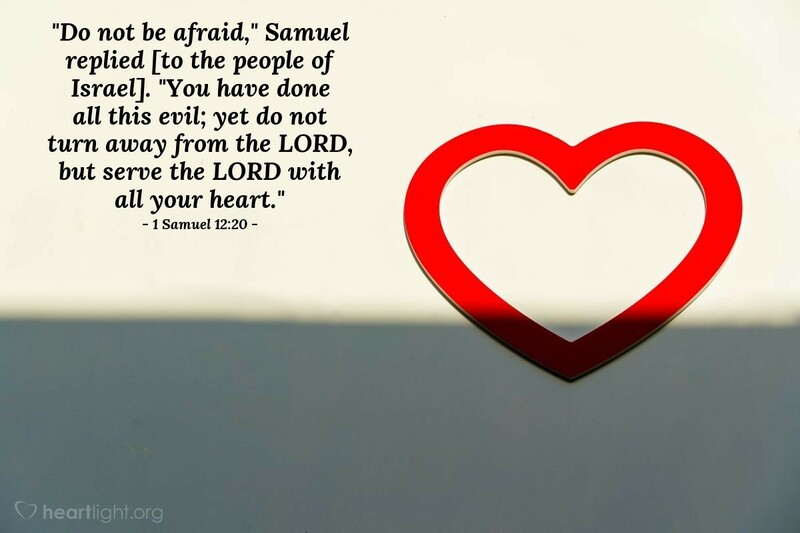 Samuel, however, reminds them that while they have stumbled and fallen, they must not abandon the LORD himself. Instead, their political concerns must give way to their total allegiance to God and their willingness to serve him fully. Forgive me, dear Father, for the sinfulness, short-sightedness, and silliness that I have, at times, shown. I want to serve you with an undivided heart, cleansed by your forgiveness and the transforming power of your Holy Spirit. Thank you! In Jesus' name. Amen.